The next iPhone may be Apple's largest to date. 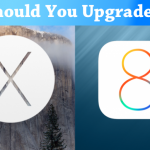 However, one thing is likely to remain the same when the "iPhone 6" replaces the iPhone 5s as the company's new flagship device: the available color choices. On Tuesday, Letem svetem Applem released several new photos purportedly showing parts for Apple’s next iPhone. They suggest the iPhone 6 will be available in space gray, gold, and silver — the same color choices found on the iPhone 5s. 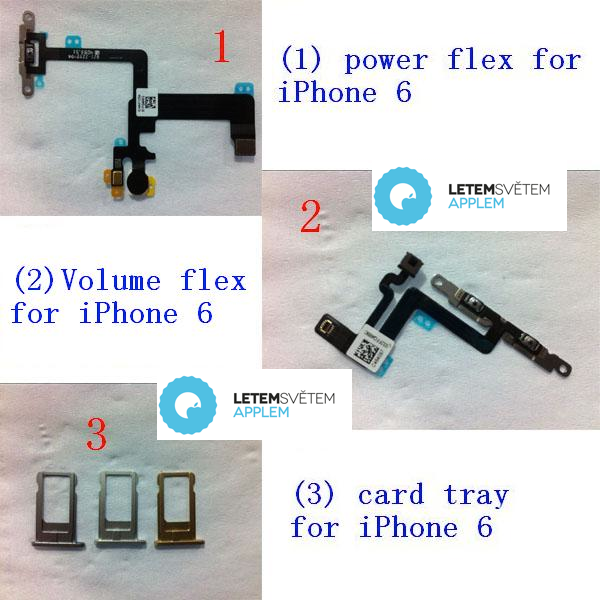 The photos purportedly show power and volume flex cables and SIM card trays for the next iPhone. Rumors suggest the iPhone 6 will be available in two screen sizes: 4.7-inch and 5.5-inch. The iPhone 5s and iPhone 5c both have a 4-inch display. The iPhone 5s was the first to offer a gold color choice. A year earlier, the iPhone 5 launched in black and white varieties. Apple's next handset should launch in September. Recently, we learned that the long-rumored 5.5-inch iPhone 6 model might include features not found on the 4.7-inch model. This may include a sapphire crystal display, a camera with optical image stabilization, and one variant with 128GB of internal storage See also: A New Video Shows A Flexible 'iPhone 6' Display, Apple’s Next iPhone Might See Little Battery Life Improvements, and This Latest Mockup For Apple's Bigger iPhone 6 Could Be The Most Accurate Yet.